Like me, most people had never heard of monkey bread until a few years ago, when suddenly it was everywhere. They sell it at state fairs and carnivals; I’ve even seen it on the boardwalk. 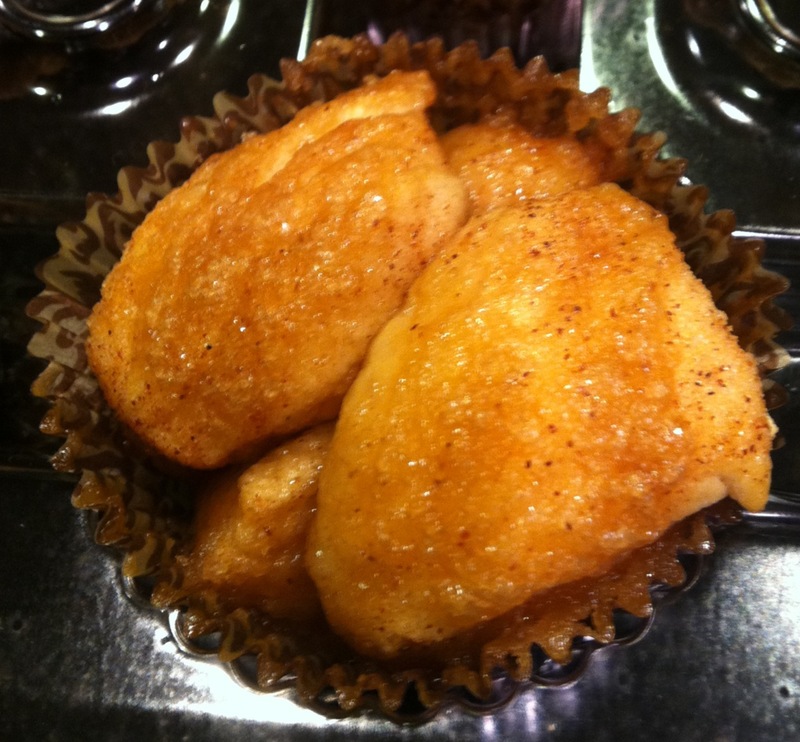 It’s a gooey treat, made of bite-sized morsels of sweet dough that are covered in syrup and typically served warm (though that isn’t required). No one is really certain of its origin, though recipes for it were published in American homemaker magazines in the 1950s. 1. 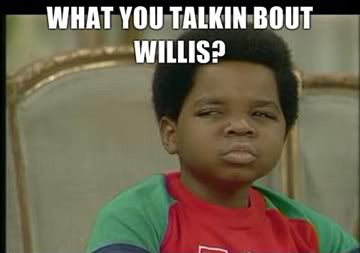 Preheat an oven to 375 degrees F (190 degrees C). Butter 6 muffin cups or line with paper muffin liners. 2. 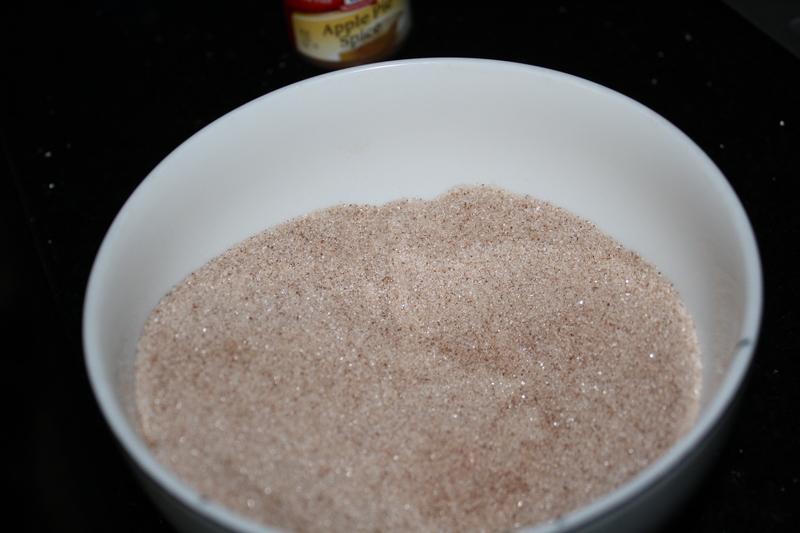 Combine the apple pie spice and white sugar in a small bowl; roll the biscuit pieces in the mixture to coat. 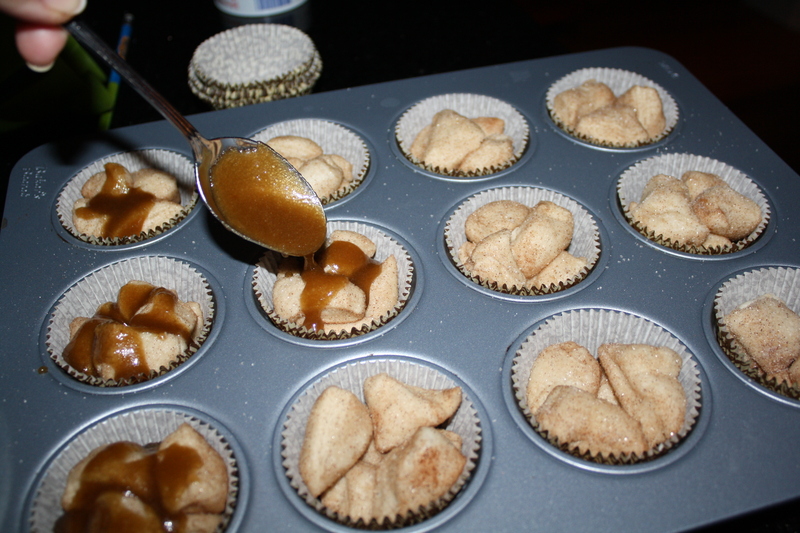 Divide the coated pieces between the prepared muffin cups. 3. 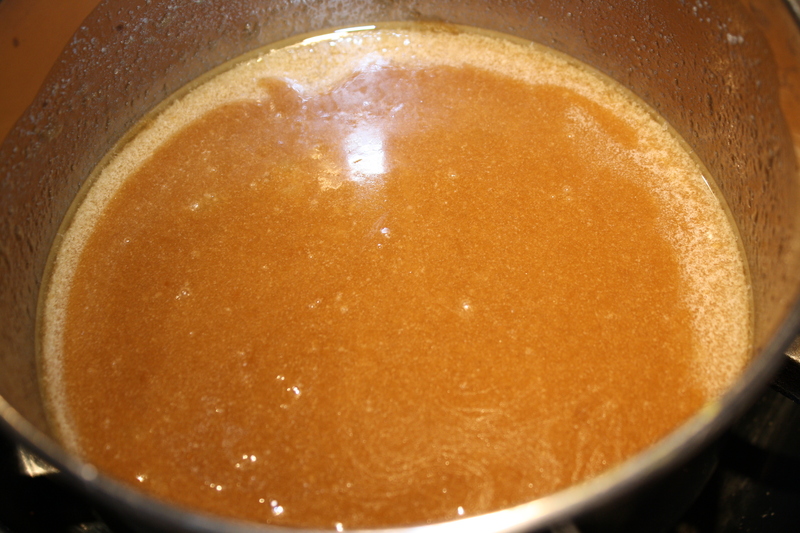 Combine the brown sugar, butter, and water in a small saucepan over medium heat; bring to a boil, stirring continuously. 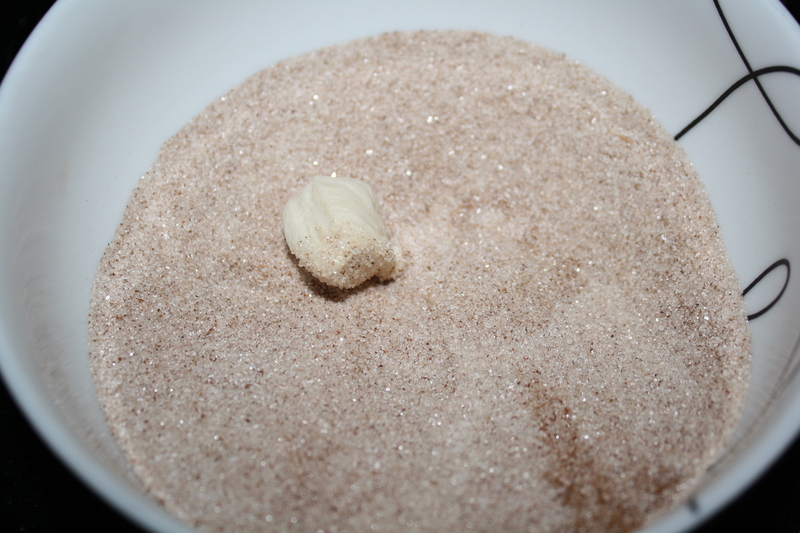 Allow the mixture to boil until the sugar is completely dissolved, 2 to 3 minutes. Spoon the mixture over the biscuit pieces. 4. 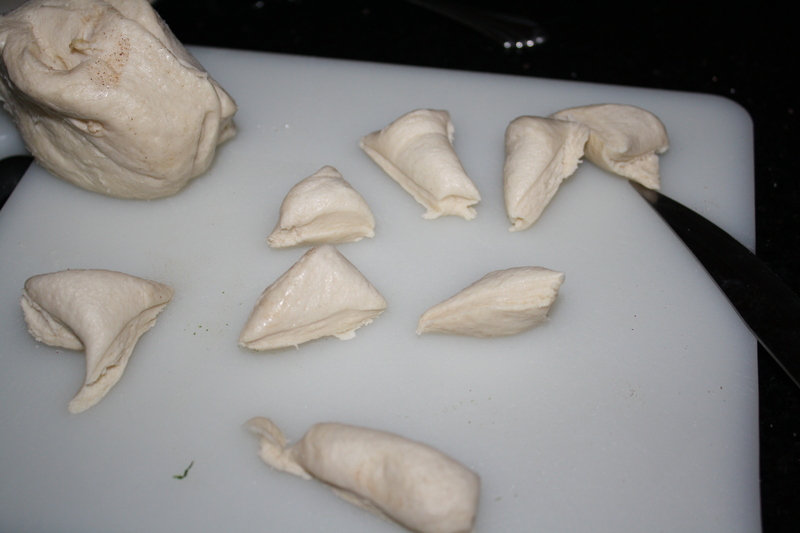 Bake in the preheated oven until golden, and the tops spring back when lightly pressed, 8 to 12 minutes. 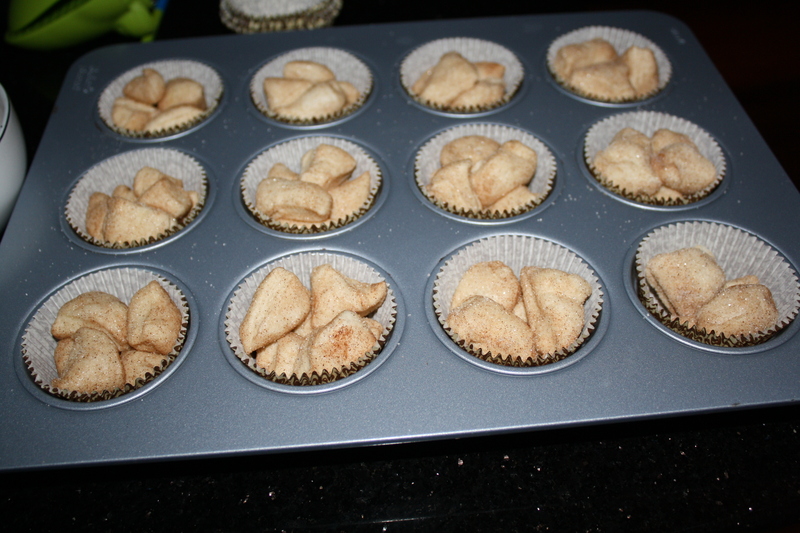 I used Pillsbury Grands bicuits for my monkey bread, and in the end, got about 15 muffins. 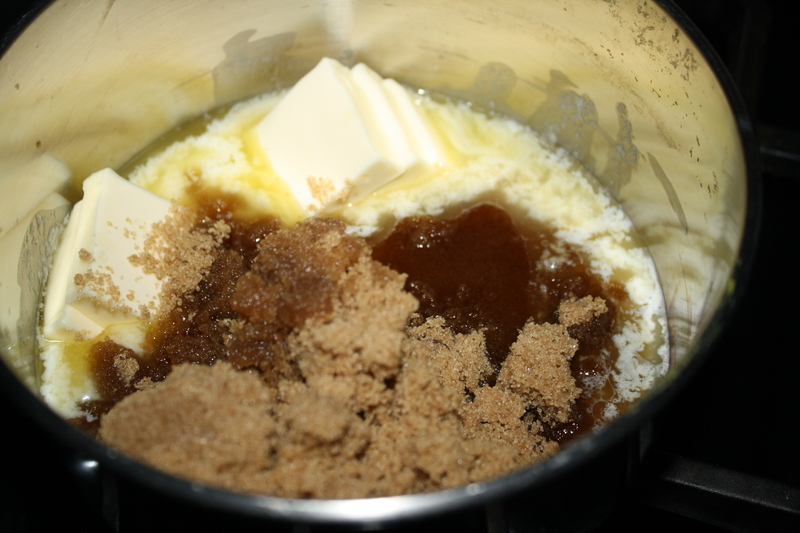 I knew it was going to be more than six, so I started by doubling the sugar mixture. and put into the muffin tins. I put six pieces into each cup, but I should have either cut the pieces in half, or only used four per cup. Using the Grands made a difference in the size of the pieces that came out in the end. I poured the syrup over the cups. After ten minutes, I pulled out the muffins, which were kind of a mess. I ended up pulling a few of the bigger ones apart, putting them into separate cups, and covering them with some of the leftover brown sugar sauce. They were yummy though! Definitely a quick-fix monkey bread, and very easy to make.